Trust is our most important asset as leaders, when it’s broken, look out. Whether it happens innocently or not, if you lose the precious trust that you have developed, it is very difficult to retrieve it. The SNC political meltdown is a perfect leadership lesson. I’m not going to hypothesize on what happened in Ottawa, only to say that for sure trust was broken in a variety of ways and it will take Canadians and people in the liberal party a while to put it behind them. It is a perfect example of trust gone wrong, and a leader, supposedly being unaware of it, which in and of itself is a significant problem. This is a wide open public story for all to see, but this happens in companies every day. And then leaders wonder why there is a lack of engagement with their employees. Employees start to question what once was a given, they start negative water cooler talk, turnover increases, and at the end of the day results suffer. If the leader doesn’t address the issue head on and just waffles and tells lame stories or excuses, it will not stick and the problem will linger. A toxic culture is usually the result. Let’s take this very public occurrence as a lesson to all of us in leadership positions to not take anything for granted. We have to communicate, ask questions, and spend time with the very important people that report to us, ie; all of them. Our role is to lift up those who report to us, to coach them, to help them be the best they can be. Our role is also to deliver a vision and a strategy and execute on what our stakeholders expect of us. Its extremely difficult to do any of that in an environment of distrust. When there is trust, everything happens quicker, more smoothly, and more efficiently. You get to the issues and challenges quicker as people are not afraid to bring them up. Creative new ideation, and innovation happen in a freer, open, collaborative environment. There is a lot to great leadership, hundreds of books are written on the subject, but I believe creating, developing, maintaining, and living a trusting environment is the most important lesson of all. And its something you can’t fake or snap your fingers and expect it to be so. You have to lead by example everyday to develop it over time. Please feel free to comment on this topic of trust in leadership—not politics. For more information and insights in regards to coaching and other sales organization and leadership learnings refer to my website, www.streetsavvysalesleadership.com, feel free to order my book, The Street Savvy Sales Leader, A Guide To Building Teams That Consistently Win New Business. Why are so many of us in sales still spewing out product garbage, too soon and too often? It’s crazy to me that we still need to coach sales people not to sell on product. I was just reviewing some old books on my shelf and came across the gem, The 7 Habits Of Highly Effective People by Stephen Covey. This book sold millions and has been talked about for decades. It was published in 1989 by Simon and Schuster, 30 years ago. “It’s a totally different approach” – Yah 30 years ago it was!! I realize that today we are also striving to advance the conversation to insights and value creation, and helping customers with ideas and scenario’s that they perhaps havn’t even thought of. We still need to help customers solve their business problems by developing outcomes for them that resonate and are meaningful for their business and for them personally. It’s curious to me that many sales consultants and thought leaders talk about this as if its new thinking. I remember a family friend who sold for a paint manufacturer, yes paint. He traveled all over Canada selling paint. He was a good friend of my dad, and I was just a kid at the time. So this was 40 plus years ago. I’ll never forget him talking about selling in our living room, smoking his pipe (yes he was smoking a pipe-not very popular these days). He talked about helping his customers, he never talked about the product. Why are we still even having this conversation? Because reps astonishingly, are still doing it. Lets make 2019 the year we pause, think, ask questions, sincerely care about the outcome, and listen, I mean, really, actively, listen. I help coach professionals on this topic among others on a continual basis, yes its still an issue. It’s very rewarding to see them make the shift into outcomes and how they see very quickly that it changes the whole dynamic of the conversation they have with their clients in a positive way. Please feel free to comment on this topic and join the conversation. 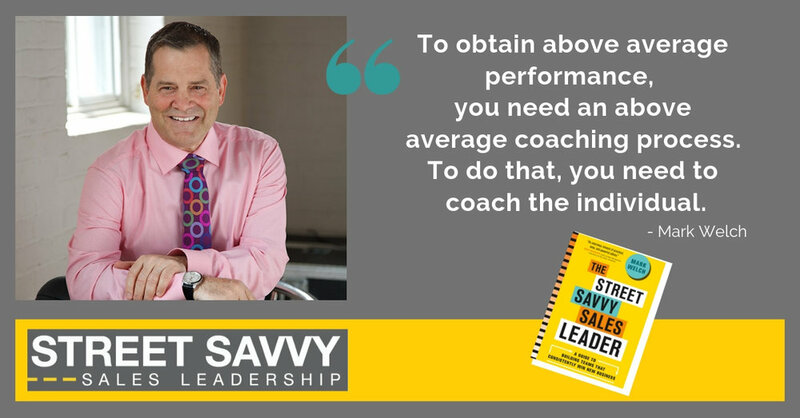 For more information and insights in regards to coaching and other sales organization thoughts refer to my website, www.streetsavvysalesleadership.com, you can also order my book, The Street Savvy Sales Leader, A Guide To Building Teams That Consistently Win New Business. Are you a Super Bowl Coach? There are 4 tried and true coaching fundamentals which will help you become a “Super Bowl” Sales Leader. As human beings we are searching for meaning in our lives, some seek money and power and status of course. I think that is fleeting, while temporarily satisfying, in and of itself, it doesn’t add much meaning to our lives. To truly have meaning in our lives we need to add meaning to other people’s lives. To make a difference, to contribute in a positive way. As sales leaders it’s about helping team members be the best that they can be and helping them meet their objectives and goals, both at work and in their lives. One sure fire way to do that, is through effective, meaningful coaching. The benefit of great coaching is that results happen. For those of you who don’t know me, I’m a big sports fan and an even bigger football fan. I believe that there are so many parallels between sports and sales leadership and especially sales coaching. I love watching the intensity on the sidelines of some of the great coaches, how they are so in the moment, watching every play, adjusting, being right there with their players on the field of battle. Watch the two, very different coaches at this Sundays Super Bowl, Sean McVay and Bill Belichick. One will be out there fist pumping on occasion, the other will be more stoic and even tempered, but no less intense. I’ve read a ton from many of the coaches that I admire, like Vince Lombardi, Don Shula, John Wooden, Bill Walsh and Pat Quinn. There are so many lessons to be learned by studying these greats, not only on how they coached but on how they lived their lives. They are not remembered for their status, or how much money they made. They are remembered for their results, but even more importantly they are remembered for the meaningful difference they made in the lives of those that they coached. I have been a leader for over 20 years, I have studied and read about the craft of leadership and coaching, I became a certified coach in two different coaching programs, and then I wrote a book about it; The Street Savvy Sales Leader. In addition to that experience, I also interviewed over 100 sales professionals. 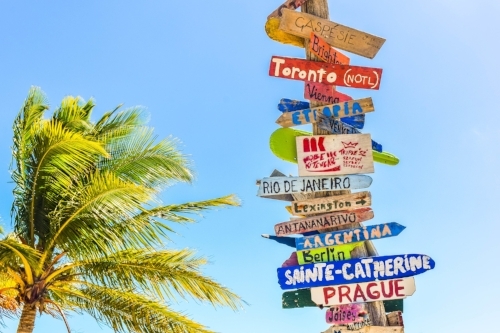 There is no doubt that effective and consistent coaching is a Sales Team Game Changer. This is my 2-minute summary of what it takes to create an effective coaching relationship. You need to be authentic, genuine and sincere and have the best interests of your people at heart. This means listening to your reps, asking thoughtful questions and being collaborative and willing to have a constructive back and forth conversation vs being solely directive. The greater the trust, the more open your team will be and the more you will learn about them as people and what their issues and challenges are. That’s when the magic happens, when you can really help them be their best selves, through effective coaching. It is important that the coaching is specific to each individual’s needs and goals. You need to coach to the unique level of experience, skill set, challenges, strengths and weaknesses, talents, and character of each individual. Reps need and want the coaching to be unique to them personally. Real-world, relatable examples work far better than textbook scenarios or theory. Salespeople need coaching not only to come from a credible source but also to be credible. In other words, the Sales leader is leading by example because of their experience and expertise. Sales people in this case will truly value a coach’s viewpoint and recognize the benefit of collaborative creative new ideas and strategic account and sales call assistance. Coaching needs to be timely, in real time if possible. The immediate application of coaching lessons leads to sticky learning. Coaching around a sales call for example should be right after the call, or same day, but no longer than 24 hours or it will not be nearly as effective. John Wooden talked about the fact that if he couldn’t coach in the moment or within a few minutes of the event, it was a waste of time and you might as well not even bother. There is so much more to coaching, the above are 4 meaningful fundamentals to think about in your coaching moments. They will help lead to greater performance. Think about it—How do you want to be remembered? Do you want to be remembered as one among many managers, or do you want to be remembered as someone who made a meaningful difference in people’s lives? Effective coaching means you need to take the time, it means you need to shift from it being about you, to its being about the people that report to you. If you’re ready to be a Super Bowl Coach, ready for transformation, and ready to make a difference contact me today. It will lead to greater results—Effective coaching is transformative! To read about other sales leadership topics or to learn more about sales coaching, check out my website www.streetsavvysalesleadership.com . I have always had the practice of meeting salespeople one-on-one every week, even if it was over the phone. My experience is that even the most experienced and seasoned salespeople need and want one-on-one interaction, whether it be for encouragement, help with problem-solving, support with strategic thinking, assistance with call planning or reviews, or internal help, like guidance on collaborating to receive support from other departments. Even if they know what they need to do, having someone to bounce ideas off is extremely helpful. The essential thing is that the manager needs to be able to add value to the sales representative—they need to be able to help in some way. If the manager doesn’t add or offer any value, the one-on-ones won’t be of any value and won’t be welcomed. In fact, the reps will do whatever they can to avoid the manager, as they will be viewed as a waste of reps’ time. You want to ensure that these meetings aren’t viewed as simply the manager’s way to get caught up and keep an eye on things so that they are seen as being on top of things for their boss. While it is certainly important to catch up, the focus should be on the actual coaching and value-add of the manager–sales representative discussion. It’s not about you the manager, its about the rep and how you can help him or her be the best they can possibly be. During the writing of my book The Street Savvy Sales Leader, I went through the process of becoming a professionally certified business coach by the Worldwide Association of Business Coaches (Conducted by Shift Coaching, shiftcoaching.ca). It was an extensive process that included several interactive training clinics, a substantial reading list, role-playing, observing practice-coaching sessions and putting in actual real-time, practical coaching hours. In all, the certification entailed well in excess of 70 hours[LC1] of effort. Again, actual coaching means that you need to develop consistent and regular conversations that serve to help the sales process and sales rep development. These conversations need to be planned and must link to what you are trying to achieve as an organization and the culture you are creating. Any additional thoughts and ideas on one on ones?, Would love to hear them, it is so important and needs to be a priority in all Sales Managers schedule.